Hello, and welcome to a battle report featuring a short TvZ that doesn't involve much macro, or really micro at all. Instead, a random player attempts to execute a very risky and unconventional cheese against a possibly unsuspecting ladder player. For about 3 years, I disdained cheese in Starcraft II, assuming that it was stupid to gamble on an early attack that could go wrong against a player that executes a normal strategy to a degree sufficient enough to bring himself to the midgame in a solid position. A few months ago, I took a closer look at professional-level games and realized that cheese was strategy and did contain some skill requirements, such as micro, solid execution of a build, and tactical denying of scouting. I am terrible at all of these, even when compared to other silver level players such as myself. However, recently I have undergone a revelation, realizing that there is no point in playing only macro games because I am not good enough in the early game to survive to mid-late game unless I'm far better than my opponent. Therefore, I will not learn in a macro game. Until I expand my early game capabilities, understand beginner multitasking and attacking on two fronts, and ably micro small groups of units, I will not improve as a player. With this mindset, I enter the first game of the day. 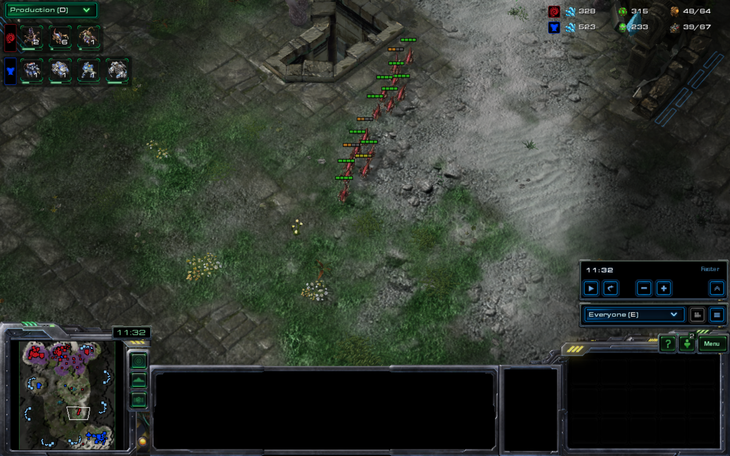 I am the randomized terran in the bottom right of Bel'shir Vestige, and someone else is a zerg player in gold league. Most of my jokes are banana-oriented. I always tell a joke at the beginning of a game. It feels good to chat online with random people and then play a game with them, a social aspect casual starcraft II has somewhat lacked for years, despite the inclusion of chat channels. Also, note the APM counter. I spam very little throughout the game, even neglecting to warm up my hands, but I notice my opponents often have twice as much or even triple the APM I do, even in long games, despite the fact they are silver and gold. I started with a barracks, followed by a refinery. My opponent decided to play safely and build a spawning pool and an extractor before expanding. 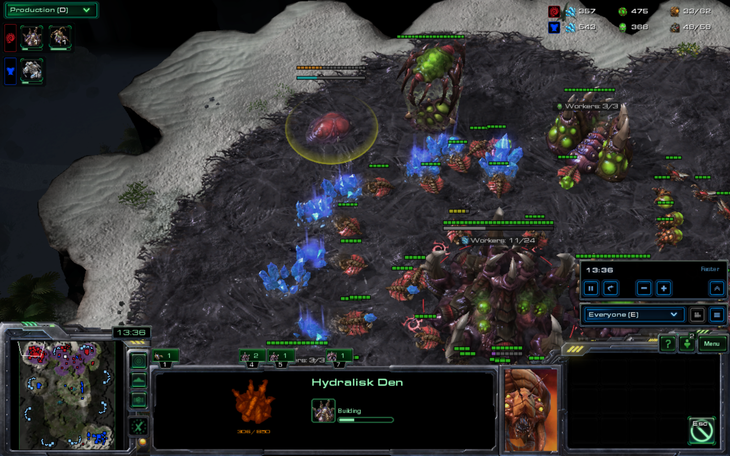 I decide to scout the zerg base before executing my planned early game attack, otherwise known to many as an all-in, and I notice a baneling nest constructing in the corner of his base. "Commander? I've located the zerg hive cluster and various biological facilities. Requesting immediate evacuation, these bugs scare me." This is not optimal for my strategy, as it requires the use of workers as meat shields and quick repairs for the mechanical units I'm planning on attacking with. 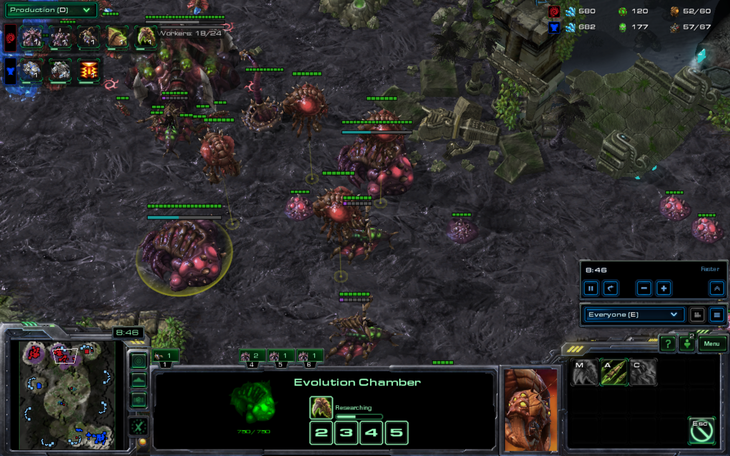 I decide to build a bunker and discuss the impulsive and rash decisions of my opponent to reveal a baneling nest so early. Is he attempting to rush me on two bases? It is now I put into execution the next step of my plan by building a starport below his main base. Meanwhile, I continually produce hellions and marines, as well as SCVs. What kind of all-in is this? I also reassure my opponent that nothing bad is going to happen to his reputation just because he built a baneling nest, as nobody I speak to will live to repeat this foul story to anybody in power. This is in an attempt to calm him down and to get on his good side to the point that he will not expect anything bad from me. That spine crawler in production is pre-emptive and at his natural, he hasn't scouted anything yet. The exact details of my plan become extremely clear to anyone with vision in this random corner of the map when I begin production on a fusion core! Also, I misclicked when placing a MULE so I will be short on minerals for the next few minutes. As you can clearly see in the next picture, yamato cannon is in production and the zerg is building a lair and taking a third base while researching +1/1 melee and ground carapace. In response, I decide a seige tank will benefit my army enough to punch through the initial ground forces in my upcoming attack. I also decided that moving out with my forces before the battlecruiser finished would allow for a smoother and faster attack. While he probably noticed blue dots on the minimap as my army moved under various overlords, this is the first time he actually bothered to look at what units were approaching his base. "This guy is so dumb. Pepsi is obviously superior." In fact, I did not bother to split up my units, so the initial banelings killed about half of my units, most of which were SCVs. As I am probably going into more detail than necessary, I will shut up and show you pictures of big explosions because battlecruisers and yamato cannon are awesome. He decides to slow my push with spore crawlers while counter-attacking my main. His attack was not quite successful, even when he morphed banelings and tried to bust my wall, because I soon had a tank and he morphed his banelings at my ramp where I could take free shots. A decision that made a lot of difference. But who has enough time to run zerglings far enough so that a terran may not see them? 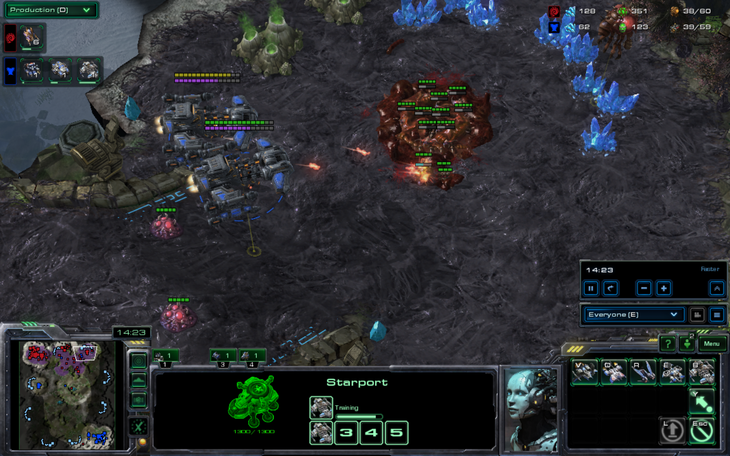 Turns out battlecruisers are good against spore crawlers, who knew? 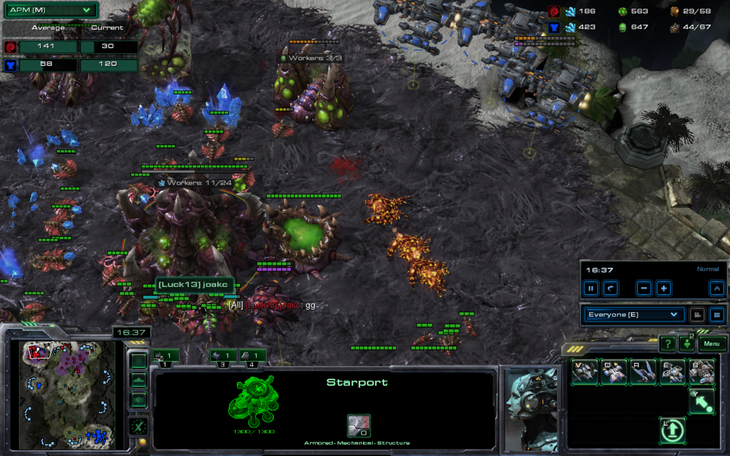 Banelings, the counter to battlecruisers. Everyone in gold league knows that. I decide to rashly send reinforcements instead of expanding and macroing up. 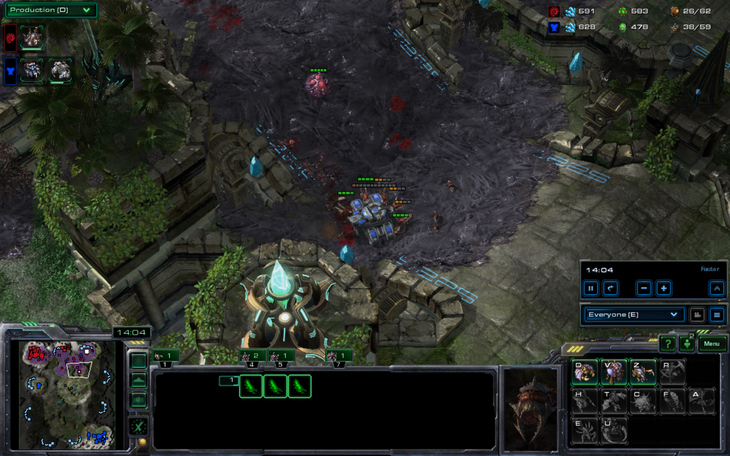 Finally he decides that he can clean up my rush using units and builds a hydralisk den. 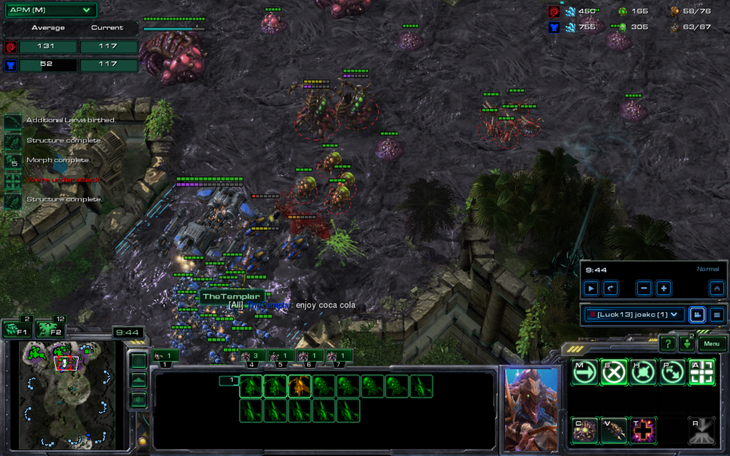 Unfortunately, I march into his base when he has only a few hydralisks and kill him. And at this point, he leaves the game with a GG. 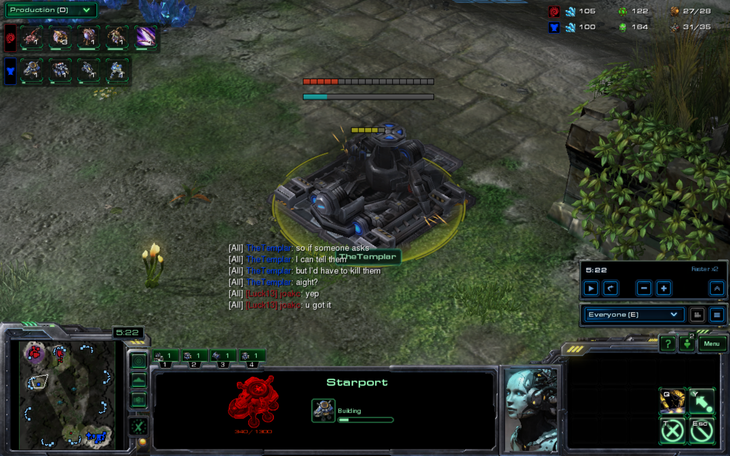 And that is how you beat a 3 base zerg with 1 base terran. I was wondering at this point whether I should adjust my mindset on these early game attacks, as I executed the strategy fairly badly, grouping up my units against banelings and barely defending at home while being sloppy with my ground forces. It also brings me back to the question I ask myself every time I type a game's battle report up: "Was this game at all enjoyable, and would I be ok with doing it several times?" The answer in this case is yes, but having fun and taking the game seriously are two things I find hard to do unless I remain a spectator. Also, does anyone have any particularly interesting or cool-looking cheeses/all-ins that I can use as any of the three races? I have a few builds but as I am trying to have fun and use all the units in addition to improving my skill, I'd like to try a bunch of different early-game timings. 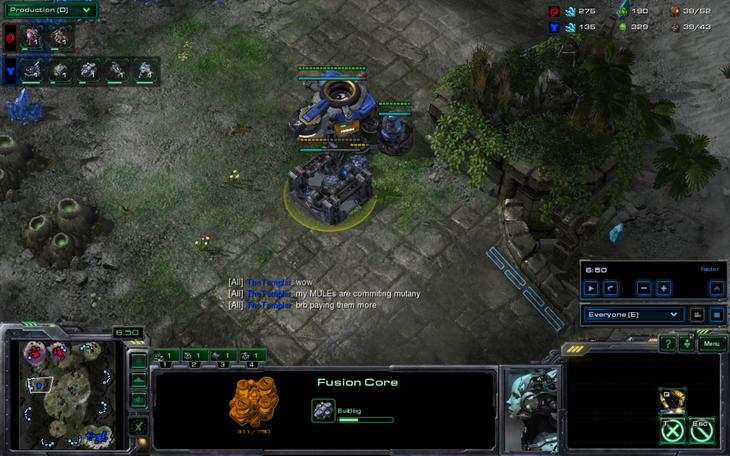 Unfortunately, Terran is very difficult to 1-base all-in with in TvZ and TvP. Admittedly, considering the 1-base BC rush won the game, it seems you can pretty much do anything you want at this level. That said, here are some all-ins you can try. Not all of them are strong at the pro level, but that doesn't really matter. TvZ: Proxy 2-rax (11 rax, 12 rax, pull 5-7 SCV's. ), 2-base Hellbat/Marauder all-in. TvT: Proxy marauder (12 rax, 13 gas, Tech Lab, Conc Shells + Marauder, second rax when affordable), something with siege tanks. 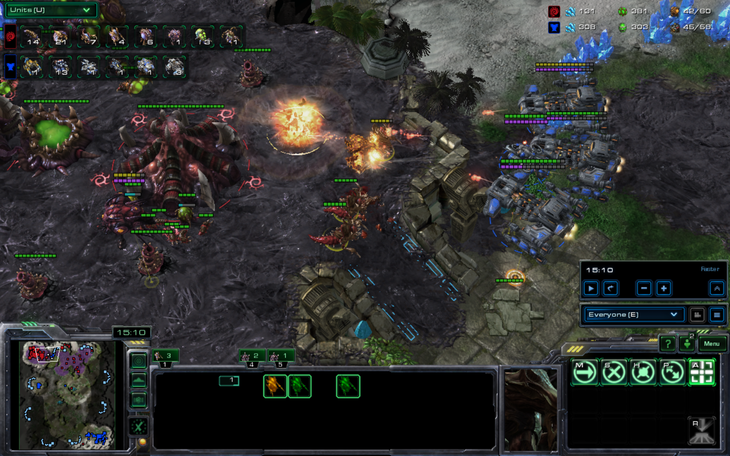 TvP: 2-base 5-rax SCV pull. TvZ: 2-port Banshee. Probably add some marines or expand as a mineral-sink. TvP: 5-factory all-in, with Tanks and Hellbats. 2 bases. 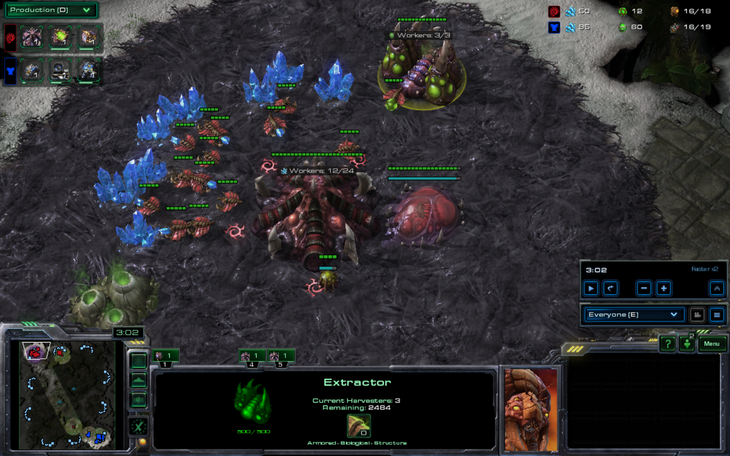 The proxy 2-rax and proxy marauder builds are very good for practicing bio micro, for obvious reasons. I thought this would be about that festival where they roll a massive cheese wheel down a hill and people chase after it and the person who catches the cheese wheel wins the it. Still, 5 stars cause the title got me excited.